Discussing Lewis Hamilton is fun. Most other drivers you can grasp. Their trajectory likely steadily upwards. 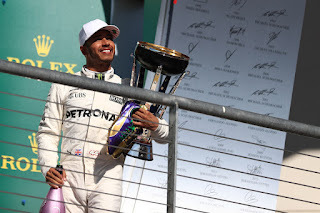 Not so with Lewis, whose F1 career has been of astonishing peaks and troughs. Prodigious skill, dramatic legend, but also - sometimes - unfathomable lows. We've therefore had false dawns with Lewis before. But now with his fourth world title won after an magnificent run of form since the summer it's tempting to conclude that this is the best Lewis we've ever seen. Brazilian GP Betting Preview - Brazil nuts?